Why this tough but life-giving command can change your entire outlook. Reading the Bible isn’t always easy. If you’ve ever thought those words but were embarrassed to speak them, you’re not alone. Sure, there’s plenty within Scripture that we comprehend without much difficulty. But at times we come across a passage that baffles us—or worse, makes us feel angry or annoyed. Sometimes it’s because we simply don’t understand what the Lord is saying through the text. But often the reason for our discomfort is that we don’t like what we’re reading. It’s easier to ignore those verses and move on to more appealing topics than to hash it out with God and do what He says. Reading the Bible is hard because, in the end, it challenges us to change. 1 Thessalonians 5:18 is one of those verses that can really get under your skin: “In everything give thanks; for this is God’s will for you in Christ Jesus.” But what about those difficult and painful situations? Being grateful for suffering seems to make no sense. If I were writing Scripture, I would say, “In most things give thanks, for this is God’s will for you in Christ Jesus.” It’s easy to be grateful for the good things in life—a newborn baby, a raise, a new house, or encouraging news from the doctor. But what if you lose your job, discover your child is on drugs, or are told by the doctor that you have only have six months to live? How can God expect you to be grateful then? I faced this dilemma some time ago when I hurt my shoulder and experienced excruciating pain. I read this verse and told the Lord, “I know You said this, but it’s not reasonable when I’m hurting so badly. I just don’t feel thankful.” But then I noticed that it didn’t say, In everything give thanks when you feel like it. This command has nothing to do with feelings. It’s a choice to do what God says. Whenever He gives us a command in the Bible, it’s for our benefit. Gratitude impacts every area of our lives. 1. Gratitude keeps us continually aware that the Lord is close by.Even though gratefulness doesn’t come naturally in difficult circumstances, a decision to thank God for walking with us through life makes us more sensitive to His comforting presence. 2. It motivates us to look for His purpose in our circumstance. Knowing that the Lord allows hurt and trouble for His good purposes takes the edge off the pain. Even if we don’t understand why we’re going through suffering, we can thank God because we know that in His time, He’ll work it all for good. In the meantime, we can rest in the knowledge that He’s using every hardship to transform us into the image of His Son (Rom. 8:28-29). 3. Thanksgiving helps bring our will into submission to God.When the situation we’re experiencing is the last thing we’d ever want, thanking the Lord is a giant step toward being able to follow Christ’s example and say, “Not my will, but Yours be done” (Luke 22:42). Gratitude helps us acknowledge that God’s will is best, even if it’s hard; in that way, we are able to release our hold on what we want. Although the circumstances may remain the same, submission changes our heart. 4. It reminds us of our continual dependence upon the Lord. Pride, adequacy, and independence evaporate whenever we’re trapped in a situation that leaves us helpless and hopeless. If there’s no way out, thanking God for His control over all things reminds us that He alone is our strength. 5. 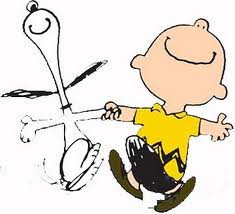 Thankfulness is an essential ingredient for joy.There’s no way to “rejoice always” (1 Thess. 5:16) without giving thanks in everything (v. 18). That’s why ungrateful people are so grumpy. Joy is an inner sense of contentment, which flows from a deep assurance that all God’s purposes are good and He’s in complete control of every situation. With that kind of supernatural joy, it’s easy to be thankful. 6. A grateful attitude strengthens our witness to unbelievers.The world is filled with people who are angry, frustrated, and overwhelmed with the difficulties of life. But a believer with a grateful attitude is like a light shining in a dark place. The people around you will want to know why you don’t grumble and complain the way everyone else does. Then you can tell them about your amazing Savior. 7. Thanking God focuses our attention on Him rather than our circumstances. The key to a grateful heart begins with understanding the Lord’s character because knowing His awesome attributes motivates trust and gratitude. He knows exactly what you’re going through, loves you unconditionally, and understands you perfectly. When you thank Him in tough times, He gets bigger, and the circumstances become smaller. 8. Gratitude gives us eternal perspective. The apostle Paul is an amazing example of a man who suffered extreme hardship yet remained thankful. That’s because he was able to see life from God’s perspective. In 2 Corinthians 4:16-18, he says our present suffering is “momentary light affliction.” If you’re going through a really hard time, those words may sound ridiculous. Maybe you’ve been dealing with pain your entire life, or a difficult trial has dragged on for decades. It hardly seems momentary or light. But Paul is comparing our situations here on earth with what’s awaiting us in eternity. For him, a 40-year stretch of pain and hardship was no match for the “eternal weight of glory” awaiting him (2 Cor. 4:17). What an amazing thought—your present pain has the potential to produce incomparable glory for you in heaven. Now that’s a big reason to thank God! 9. When we’re wearied by our circumstances, thanksgiving energizes us. Most of us can handle short trials, but if they continue for a long period of time, the emotional and physical strain is exhausting. Should ongoing illness, unresolved relational problems, or continued financial pressures become more than we can bear, it’s time to start thanking God because He has promised to give strength to the weary (Isaiah 40:29). He’ll release His supernatural energy within us so we can patiently endure the trial and come out victorious on the other side. 10. Gratitude transforms anxiety into peace, which passes all understanding (Phil. 4:6-7). I learned this principle through a very difficult experience. When I was feeling anxious about the situation, I discovered that complaining, getting angry, and arguing with God didn’t change my circumstances. Finally, in desperation, I began thanking Him. Only then did I receive His incomprehensible peace. My situation didn’t change for quite a while, but God’s peace guarded my heart all the way through that trying time. The choice isn’t always easy. Most of the time, we’d rather get out of difficulties than thank God through them. But have you ever considered that He may actually want you to stay in a painful situation for a time? I know this may not sound like something a loving God would ever do, but remember, His goal is to do what is best for you, not what’s comfortable, convenient, and enjoyable. The Lord’s purposes for your life extend beyond your days on earth. He’s working for your eternal good. Begin thanking God today, in whatever circumstance you find yourself. After all, what’s the alternative—bitterness, resentment, and grumbling? God made you for something far better: eternal, sustaining joy. The transformation starts with two simple, small words offered from the heart: thank You. Say them over and over. And then say them again. Your joy will be radiant—a light shining in a dark and desperate world. Grow to be like Christ (by confessing sin and turning from attitudes that promote conflict). These concepts are totally overlooked in most conflicts because people naturally focus on escaping from the situation or overcoming their opponent. Therefore, it is wise to periodically step back from a conflict and ask yourself whether you are doing all that you can to take advantage of these special opportunities. As mentioned above, you can glorify God in the midst of conflict by trusting him, obeying him, and imitating him (see Prov. 3:4-6; John 14:15; Eph. 5:1). One of the best ways to keep these concerns uppermost in your mind is to regularly ask yourself this focusing question: “How can I please and honor the Lord in this situation?”When the Apostle Paul urged the Corinthians to live “to the glory of God,” he was not talking about one hour on Sunday morning. He wanted them to show God honor and bring him praise in day-to-day life, especially by the way that they resolved personal conflicts (see 1 Cor. 10:31). There are generally two kinds of “logs” you need to look for when dealing with conflict. First, you need to ask whether you have had a critical, negative, or overly sensitive attitude that has led to unnecessary conflict. One of the best ways to do this is to spend some time meditating on Philippians 4:2-9, which describes the kind of attitude Christians should have even when they are involved in a conflict. The second kind of log you must deal with is actual sinful words and actions. Because you are often blind to your own sins, you may need an honest friend or advisor who will help you to take an objective look at yourself and face up to your contribution to a conflict. When you identify ways that you have wronged another person, it is important to admit your wrongs honestly and thoroughly. One way to do this is to use the Seven A’s of Confession. The most important aspect of getting the log out of your own eye is to go beyond the confession of wrong behavior and face up to the root cause of that behavior. The Bible teaches that conflict comes from the desires that battle in your heart (James 4:1-3; Matt. 15:18-19). Some of these desires are obviously sinful, such as wanting to conceal the truth, bend others to your will, or have revenge. In many situations, however, conflict is fueled by good desires that you have elevated to sinful demands, such as a craving to be understood, loved, respected, or vindicated. Any time you become excessively preoccupied with something, even a good thing, and seek to find happiness, security or fulfillment in it rather than in God, you are guilty of idolatry. Idolatry inevitably leads to conflict with God (“You shall have no other gods before me”). It also causes conflict with other people. As James writes, when we want something but don’t get it, we kill and covet, quarrel and fight (James 4:1-4). There are three basic steps you can take to overcome the idolatry that fuels conflict. First, you should ask God to help you see where your have been guilty of wrong worship, that is, where you are focusing your love, attention, and energy on something other than God. Second, you should specifically identify and renounce each of the desires contributing to the conflict. Third, you should deliberately pursue right worship, that is, to fix your heart and mind on God and to seek joy, fulfillment, and satisfaction in him alone. As God guides and empowers these efforts, you can find freedom from the idols that fuel conflict and be motivated to make choices that will please and honor Christ. This change in heart will usually speed a resolution to a present problem, and at the same time improve your ability to avoid similar conflicts in the future. Another key principle of peacemaking involves an effort to help others understand how they have contributed to a conflict. When Christians think about talking to someone else about a conflict, one of the first verses that comes to mind is Matthew 18:15: “If your brother sins against you, go and show him his fault, just between the two of you.” If this verse is read in isolation, it seems to teach that we must always use direct confrontation to force others to admit they have sinned. If the verse is read in context, however, we see that Jesus had something much more flexible and beneficial in mind than simply standing toe to toe with others and describing their sins. Just before this passage, we find Jesus’ wonderful metaphor of a loving shepherd who goes to look for a wandering sheep and then rejoices when it is found (Matt. 18:12–14). Thus, Matthew 18:15 is introduced with a theme of restoration, not condemnation. Jesus repeats this theme just after telling us to “go and show him his fault” by adding, “If he listens to you, you have won your brother over.” And then he hits the restoration theme a third time in verses 21–35, where he uses the parable of the unmerciful servant to remind us to be as merciful and forgiving to others as God is to us (Matt. 18:21–35). Jesus is clearly calling for something much more loving and redemptive than simply confronting others with a list of their wrongs. Similarly, Galatians 6:1 gives us solid counsel on our what our attitude and purpose ought to be when we go to our brother. “Brothers, if someone is caught in a sin, you who are spiritual should restore him gently.” Our attitude should be one of gentleness rather than anger, and our purpose should be to restore rather than condemn. 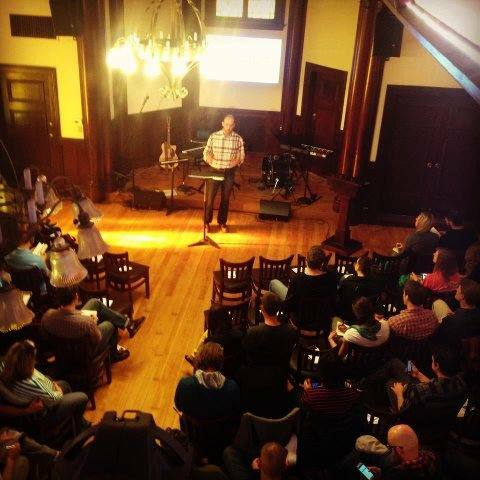 Is the offense seriously dishonoring God? Has it permanently damaged a relationship? Is it seriously hurting the offender himself? If an initial conversation does not resolve a conflict, do not give up. Review what was said and done, and look for ways to make a better approach during a follow up conversation. It may also be wise to ask a spiritually mature friend for advice on how to approach the other person more effectively. Then try again with even stronger prayer support. One of the most unique features of biblical peacemaking is the pursuit of genuine forgiveness and reconciliation. Even though Christians have experienced the greatest forgiveness in the world, we often fail to show that forgiveness to others. To cover up our disobedience we often use the shallow statement, “I forgive her—I just don’t want to have anything to do with her again.” Just think, however, how you would feel if God said to you, “I forgive you; I just don’t want to have anything to do with you again”? Praise God that he never says this! Instead, he forgives you totally and opens the way for genuine reconciliation. He calls you to forgive others in exactly the same way: “Bear with each other and forgive whatever grievances you may have against one another. Forgive as the Lord forgave you” (Col. 3:12-14; see also 1 Cor. 13:5; Psalm 103:12; Isa. 43:25). One way to imitate God’s forgiveness is to make the Four Promises of Forgiveness when you forgive someone. Remember that forgiveness is a spiritual process that you cannot fully accomplish on your own. Therefore, as you seek to forgive others, continually ask God for grace to enable you to imitate his wonderful forgiveness toward you. Whenever you are responding to conflict, you need to realize that other people may harden their hearts and refuse to be reconciled to you. There are two ways you can prepare for this possibility. First, remember that God does not measure success in terms of results but in terms of faithful obedience. He knows that you cannot force other people to act in a certain way. Therefore he will not hold you responsible for their actions or for the ultimate outcome of a conflict. At the very least, these steps will protect you from being consumed by the acid of your own bitterness and resentment if others continue to oppose you. And in some cases, God may eventually use such actions to bring another person to repentance (see 1 Sam. 24:1-22). Even if other people persist in doing wrong, you can continue to trust that God is in control and will deal with them in his time (see Psalms 10 and 37). This kind of patience in the face of suffering is commended by God (see 1 Pet. 2:19) and ultimately results in our good and his glory. None of us can make complete and lasting peace with others in our own strength. We must have help from God. But before we can receive that help, we need to be at peace with God himself. Peace with God does not come automatically, because all of us have sinned and alienated ourselves from him (see Isa. 59:1–2). Instead of living the perfect lives needed to enjoy fellowship with him, each of us has a record stained with sin (see Matt. 5:48; Rom. 3:23). As a result, we deserve to be eternally separated from God (Rom. 6:23a). That is the bad news. The good news is that “God so loved the world that he gave his one and only Son, that whoever believes in him shall not perish but have eternal life” (John 3:16). Believing in Jesus means more than being baptized, going to church, or trying to be a good person. None of these activities can erase the sins you have already committed and will continue to commit throughout your life. Believing in Jesus means, first of all, admitting that you are a sinner and acknowledging that there is no way you can earn God’s approval by your own works (Rom. 3:20; Eph. 2:8–9). Second, it means believing that Jesus paid the full penalty for your sins when he died on the cross (Isa. 53:1–12; 1 Peter 2:24–25). In other words, believing in Jesus means trusting that he exchanged records with you at Calvary—that is, he took your sinful record on himself and paid for it in full, giving you his perfect record. When you believe in Jesus and receive his perfect record of righteousness, you can really have true peace with God. As you receive this peace, God will give you an increasing ability to make peace with others by following the peacemaking principles he gives us in Scripture, many of which are described above (see Phil. 4:7; Matt. 5:9). I know that I am a sinner, and I realize that my good deeds could never make up for my wrongs. I need your forgiveness. I believe that you died for my sins, and I want to turn away from them. I trust you now to be my Savior, and I will follow you as my Lord and King, in the fellowship of your church. If you have prayed this prayer, it is essential that you find fellowship with other Christians in a church where the Bible is faithfully taught and applied. This fellowship will help you to learn more about God, grow in your faith, and obey what he commands, even when you are involved in a difficult conflict. As God helps you to practice his peacemaking principles, you will be able to resolve most of the normal conflicts of daily life on your own. Sometimes, however, you will encounter situations that you do not know how to handle. In such situations, it is appropriate to turn to a spiritually mature person within the church who can give you advice on how you might be able to apply these principles more effectively. In most cases, such “coaching” will enable you to go back to the other person in the conflict and work out your differences in private. If the person from whom you seek advice does not have much experience in conflict resolution, it may be helpful to give him or her a copy of Guiding People through Conflict, which provides practical, nuts-and-bolts guidance on how to help other people resolve conflict. When individual advice does not enable you to resolve a dispute, you should ask one or two mutually respected friends to meet with you and your opponent to help you settle your difference through mediation or arbitration (see Matt. 18:16-17; 1 Cor. 6:1-8). For more information on how to get guidance and assistance in resolving a dispute, click Get Help With Conflict. 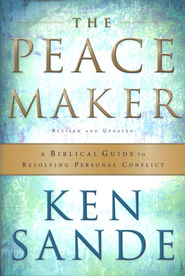 Adapted from The Peacemaker: A Biblical Guide to Resolving Personal Conflict. © 1997, 2003 by Ken Sande. All Rights Reserved. ~ I will regard my teaching vocation as a call to full-time Christian service. ~ I will regard each student as precious in the eyes of the Lord and will strive to help each one with patience, love, and a real concern for him/her as an individual. ~ I will seek to help and encourage every teacher and will ever acknowledge my own dependence on the Greatest Teacher, my Lord and Savior. ~ I will cooperate cheerfully and fully in every part of the school program as long as it is consistent with my Christian commitment. ~ I will not use my work as a teacher as an excuse to avoid responsibility in my church, but will offer the knowledge and skills of my profession in the work of the Kingdom. ~ I will enter my classroom with a prayer for the day and meet each class with a prayer in my heart for it. If occasions for discipline arise, I will – whatever the need – first ask God for help to meet the situation with love and a sense of humor. I will review each day with my Lord as with a master critic, seeking ways to improve and thanking Him for His help through the day. ~ I will endeavor to live each day in such openness and obedience that God can speak through my life as well as through my words to student, parents, colleagues, and the community around me. JOHN MAXWELL’S ACRONYM FOR H.O.P.E. I listened patiently as he poured out his problems. His work was not going well. Some of his children were sowing their wild oats and he was worried about them. The straw that finally broke his back was that his wife decided to leave him. There he sat, all slumped over in despair. It was the last sentence of his story that alarmed me. He said, “I have nothing to live for; I have lost all hope.” I began to share with him that hope was the one thing he could not afford to lose. He could lose his business, his money, and maybe even his family, and rebound on the court of life if he kept his hope alive. Many men become bitter toward life because of the unfortunate circumstances in which they find themselves. Many quit. Others have taken their own lives. What makes the difference in the outcome? Talent? No! The only difference between those who threw in the towel and quit and those who used their energy to rebuild and keep going, is found in the word hope. Hope shines brightest when the hour is the darkest. Hope sweetness while the bitterness bites. Hope believes when the evidence is eliminated. Hope endures hardship when no one is caring. Hope brings the victory when no one is winning. There is nothing to do but bury a man when his hopes are gone. Losing hope usually precedes loss of life itself. You don’t need a better environment; you just need more hope. It’s the one thing in your life that you cannot do without! SOURCE: John C. Maxwell. Think On These Things: A Fresh, New Way To Look At Life. Kansas City: Beacon Hill, 1979, pp. 127-128. FOUR: Stay fit. When you’re sixty years old, someone may ask you to do something big. FIVE: Don’t listen to critics; just get on the job that needs to be done. TEN: Remember, the Ark was built by amateurs. The Titanic by professionals. There are many different attitudes. Roberto De Vincenzo, a golfer from Argentina, beautifully displayed one of the best ones many years ago when he won the Masters golf tournament but was denied the coveted green jacket. I say he won it because he had the lowest score at the end of four days. But his playing partner who kept the score had inadvertently written that he had made a five in on one of the holes when in reality he had made a four. De Vincenzo signed the card, and when an incorrect card is signed, the player is disqualified. He had not cheated, but the rules stood. What was his reaction when he learned he was disqualified? Did he blame his playing partner? No, he said he made a stupid mistake. He accepted full responsibility himself. Now what kind of man is he? Some time later he won another tournament. After they gave him the check, he spent a great deal of time in the dressing room. He was in no particular hurry. When he got out to the parking lot, it was empty except for a young woman. She approached him saying she didn’t have a job, her sick baby was at the point of death, and she didn’t have the money to pay the hospital or the doctors. De Vincenzo signed his tournament winnings over to the young woman and went on his way. Where’s your heart? What’s your attitude? How would you have felt under those circumstances? Who had the greater problem—the golfer or the young woman? I think it is obvious isn’t it? How many of you think De Vincenzo really brooded the rest of his life over that woman who had beaten him out of that check? I don’t think he gave it another thought. He was truly glad that there had not been an ill child. Now that takes compassion, it takes heart, but it also takes wisdom. When is maturity in attitude reached? Is attitude a head thing, a heart thing, or both? Maturity in attitude is reached when you fully understand what you can change and what you can’t change, and you respond accordingly. De Vincenzo couldn’t change the figures on his score card retrieve the money he had signed over to the lying woman. Fussing and fuming would not change the reality of either mistake. He chose to accept what had happened and move forward. By doing so he saved his partner any further embarrassment and grief over the mistake. He showed everyone who witnessed the other incident his true character and was not made to look like a naïve fool by an official who was all too proud to have the scoop. People with a good heart are exposed most readily in times of stress and ill fortune. De Vincenzo was more interested in the needs of his golfing partner and the wlfare of a baby than he was in claiming to have been wronged. A heart like his, one that is honest, expects the best and holds no malice. It is developed over a lifetime. Roberto De Vincenzo at some point decided he was responsible for his circumstances in life, that he had control over how he responded to disappointment, and that a good attitude and a trusting heart offered many more rewards than their counterparts. Make the same decisions for yourself and relax into a more fulfilling life. It’s not what happens to you; it’s how you handle it that will determine whether you are happy or miserable. Zig Ziglar was born in Coffee County, Alabama on November 26, 1926 and was the tenth of 12 children. In 1931, when Ziglar was five years old, his father took a management position at a Mississippi farm, and family moved to Yazoo City, Mississippi, where he spent his early childhood. In 1932, his father died of a stroke, and his younger sister died two days later. Zigler served in the Navy during World War II (circa 1943-1945). He was in the Navy V-12 College Training Program, attending the University of South Carolina. In 1944 he met his wife Jean, in Jackson, Mississippi; he was 17 and she was 16. They married in late 1946. Ziglar later worked as a salesman in a succession of companies. In 1968 he became the vice president and training director for the Automotive Performance company, moving to Dallas, Texas. In 1970, Ziglar went into the business of motivational speaking full-time, with an emphasis on Christian values. Until then, he called himself by his given name, Hilary, but now satarted using his nickname, Zig, instead. Until 2010 (aged 86) Ziglar traveled around the world taking part in motivational seminars, but has been somewhat limited recently due to a fall down a flight of stairs in 2007 that has impaired his short-term memory and physical abilities. Through the ups and downs of life Ziglar has maintained his optimism and encouraged thousands of people to be their best in the particular endeavors to which God has called them. Zig Ziglar is one of the most inspirational people on the planet today and is a terrific example of someone who has embraced the struggle of life giving God the glory each step of the way. The article above was adapted from Chapter 5 in the very encouraging book by Zig Ziglar entitled Zig Ziglar’s Life Lifters: Moments of Inspiration for Living Life Better. Nashville, TN. : B&H, 2003. Ziglar, Zig; Ziglar, Tom. Born to Win: Find Your Success Code. Dallas: SUCCESS Media (2012). Something Else To Smile About: More Encouragement and Inspiration for Life’s Ups and Downs. Nashville: Thomas Nelson (2010). Ziglar, Zig; Norman, Julie Ziglar. Embrace the Struggle: Living Life on Life’s Terms. New York: Howard Books (2009). God’s Way is Still the Best Way. Nashville: Thomas Nelson (2007). Better Than Good: Creating a Life You Can’t Wait to Live. Nashville: Thomas Nelson Publishers (2006). Conversations with My Dog. B&H Books (2005). The Autobiography of Zig Ziglar. New York: Random House (2004). Confessions of a Grieving Christian. Nashville: B&H Publishing Group 2004). Courtship After Marriage: Romance Can Last a Lifetime. Nashville: Thomas Nelson (2004). Staying Up, Up, Up in a Down, Down World. Nashville: Thomas Nelson (2004). Zig Ziglar’s Life Lifters: Moments of Inspiration for Living Life Better. B&H (2003). Selling 101: What Every Successful Sales Professional Needs to Know. Nashville: Thomas Nelson Publishers (2003). Ziglar, Zig and Hayes, John P. Network Marketing For Dummies. Foster City, Calif: IDG Books (2001). Success for Dummies. Foster City, Calif: IDG Books (1998). Something to Smile About: Encouragement and Inspiration for Life’s UPS and DOWNS. Nashville: Thomas Nelson (1997). Over the Top. Nashville: Thomas Nelson Publishers (1994). Five Steps to Successful Selling. Nigtingale-Conant Corp. (1987). Top Performance: How to Develop Excellence in Yourself and Others. New York: Berkley Books (1986). Raising Positive Kids in a Negative World. Nashville: Oliver Nelson (1985). Zig Ziglar’s Secrets of Closing the Sale. New York: Berkley Books (1982). See You at the Top. Gretna: Pelican (1975). The world will always remember Roberto De Vicenzo for what he lost, not for what he won-for that careless mistake he made at the 1968 Masters, signing an incorrect scorecard that had him making a par and not a birdie on the 17th hole that Sunday afternoon-and, thus, his uttering of the immortal golf quote, “What a stupid I am.” Yet there is so much more to De Vicenzo’s career and the contributions he made to golf around the world than what occurred in the scorer’s tent at Augusta National that should not overshadow the man’s legacy. 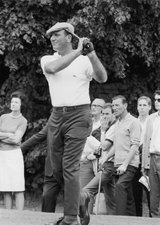 Roberto De Vicenzo won more than 230 golf tournaments, including the 1967 Open Championship at Hoylake, where he held off the Sunday charges of Jack Nicklaus and Gary Player to become, at 44, the oldest winner of the world’s oldest golf championship. Facing success and catastrophe and treating those twin imposters the same inspired British golf writer Peter Dobereiner to use the Rudyard Kipling quote when giving De Vicenzo his due. In Dobereiner’s words, “By that standard, De Vicenzo is a giant of a man because he faced the greatest triumph and the most devastating disaster which the game of golf can provide.” The United States Golf Association and the Golf Writers Association of America agreed, presenting De Vicenzo with the Bob Jones and William Richardson Awards, respectively, in 1970. All the trophies he captured didn’t mean as much to De Vicenzo as the friends he made traveling the globe. He won national opens in Belgium, Brazil, Chile, Colombia, Holland, France, Germany, Jamaica, Mexico, Panama, Peru, Spain, Uruguay, Venezuela and Argentina, a country he represented 17 times in the World Cup. Essayist Jack Whitaker once said that if golf were war, Roberto would have conquered more countries than Alexander the Great. But golf was not war to De Vicenzo. And that is what made him so loved. Born in Buenos Aires April 14, 1923, De Vicenzo learned the game as a caddy’s assistant. He turned professional at age 15 and won his first of nine Argentine Open titles six years later. Three-time Open Championship winner Henry Cotton once said there were very few professionals in the business who would not take the play through the green of Argentine golfing master Roberto De Vicenzo, and his game never left him. At 51 he won the PGA Seniors’ Championship and in 1980, at age 57, the inaugural U.S. Senior Open. He believed in hard practice, routinely hitting 400 balls a day and maintaining a slow pace. “If you hurry,” he would say, “then nothing seems to go right.” He’d visualize a shot, pick a club and hit. His method was simple to watch, and it held up under pressure. It did that final round at the Masters in 1968. What’s lost behind that staggering mistake made by fellow competitor Tommy Aaron and signed for by De Vicenzo is that Roberto shot what has been called one of the greatest rounds in major championship history. He took only 65 strokes around Augusta National that day, including a bogey at the 18th, on his 45th birthday. His 31 on the front side started with an eagle 2 at the first and tied the course record. It should have been good enough to tie Bob Goalby and set up a playoff which, had he won, would have given Roberto De Vicenzo both the Open Championship and Masters titles at the same time.